The 2K Eclipse IT Iris dowser is the work horse of dowsers in Wybron's family of professional-grade dowsers. 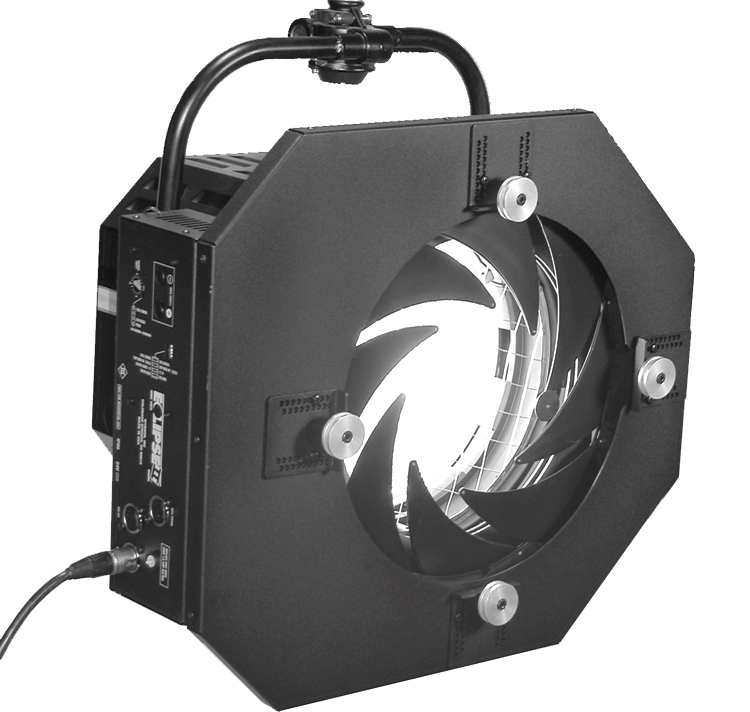 It's the next step up from the Eclipse II family of color changers, which we produced for nearly 15 years. 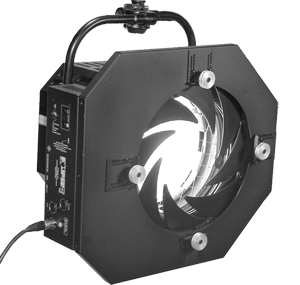 Lighting legend George Izenour designed the mechanism for NBC television studios more than 50 years ago, and Wybron later added modern coatings and DMX control to the strikingly innovative design. The IT generation of Eclipse Irises and shutters comes packed with a wealth of improvements and new features. The Eclipse IT's aluminum case for lightness features stainless steel blades for heat resistance. A non-reflective matte finish powder coat keeps the dowser cleaner. The iris style provides for maximum efficiency because there are no blades in the beam when fully open. The front door provides clips to hold a 14 inch accessory. The unit's drive mechanism has been re-designed for quiet operation and long life. Several of our test units have now passed over 1 million cycles in our quest to prove the reliability. A large final drive gear and rack with a special profile we designed to eliminate extra noise. Bottom line, the Eclipse IT is the quietest, and most reliable dowser we've ever made. We've also added lots of sensors to help you keep a watchful eye on the status of the Eclipse IT. Ambient temperature, voltage, and current at each unit can be measured and sent to your computer using the industry-standard feedback protocol Remote Device Management (RDM). The Eclipse IT uses Wybron's PS Power Supplies.